Sam has won thousands of cases and recovered over $50 million for his clients. Sam works day and night to get his clients the benefits they deserve. 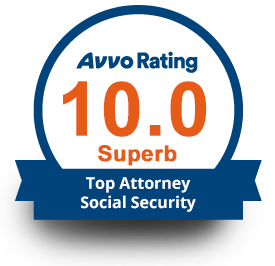 You won't find another Social Security disability attorney with more impressive reviews. Sam returns all calls the same day. Sam Silverman is rated as Superb by Attorney rating sources. But, Sam is more proud of what his clients have to say. Sam Silverman is an extremely high-rated Social Security Disability attorney in Kalamazoo. Sam Silverman is a successful and experienced attorney in helping Kalamazoo, Portage, and Battle Creek Claimants collect the Social Security Disability and Supplemental Security Income (SSI) benefits they deserve. 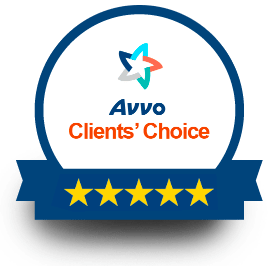 When considering experience, knowledge, ability, success rate, availability to clients, client service, reputation, and effort, Sam Silverman is clearly your best choice when choosing a Social Security Disability and/or Supplemental Security Income (SSI) attorney in Southwest Michigan. Sam is highly respected and regarded by those involved in the legal community. Sam Silverman will personally handle your case from start to finish by putting in as much work as is humanly possible to make sure you have the best chance of winning your case. You will not find a more helpful, accessible, hard-working, experienced, and successful Social Security Disability Attorney in Kalamazoo, Portage, Battle Creek, and surrounding areas. "I hired Sam after I made a big mistake and allowed one of the out of town groups you see on TV help me. I never met these people and let them take over my claim over the phone. I could not get any answers from these people or even figure out if they were lawyers. That all changed when I was referred to Sam by my doctor. Sam was able to answer all my questions, he returned all my calls, and we won my case. I am so glad I hired him before it was too late." "Samuel fought for my benefits. He is a strong advocate. My wife was skeptical and Samuel won her over with his tireless work ethic. I recommend you do yourself a favor and hire Samuel to represent you."